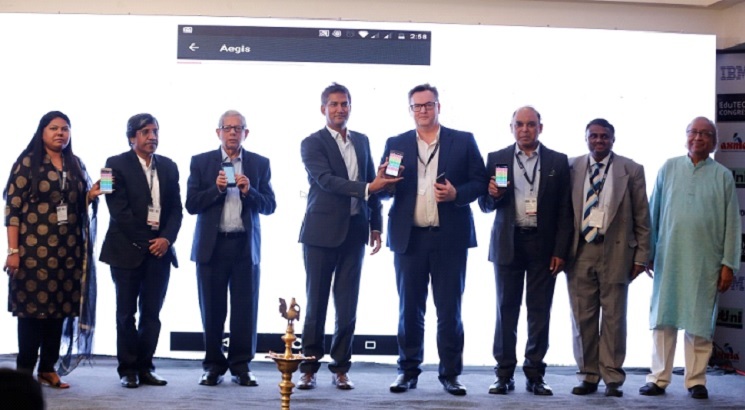 MUMBAI, MAY 16 : mUni concludes first season of EduTech Congress, launches App to help student find courses, study materia mUni, an end to end higher education solution and digital infra provider successfully concluded EduTech Congress 2018 with discussions on issues like Education Marketplace for outreach, Leveraging technology to engage, empower and improve learning outcome, Skilling beyond University Curriculum, How technology can help improve admissions and placements. The guest of honor at this event was Simon Hunter, Executive Chairman, International Screen Academy & Sydney Film School and was spearheaded by Bhupesh Daheria, Founder, mUni. While Hunter spoke of New Horizons in Hybrid Learning and showed a glimpse of the wonderful future of education embroiled around technologies, Mr. Daheria spoke on the future of Indian higher education in the backdrop of artificial intelligence. He presented a comprehensive Higher Education Digital stack for improving overall efficiency, learning outcome, admissions, placement, administration, bridging skill gap and education marketplace for outreach. Dr P. D Jose, Chairman, Digital Learning IIM Bangalore, spoke on the 20th century learning model with intense faculty – student interactions in a brick and mortar class room model as well as future of classroom education. Prof. Bhavani Prasad Panda, Vice Chancellor, Maharashtra National Law University shared insights on the importance of creating quality institutions, creating space for classroom teaching and how industry needs to fulcrum the students by providing good courses, classroom environment and quality education. He also shared the role of a teacher as a facilitator and as a skill trainer. Dr. Hema Date, Dean – Students Affairs, NITIE shared the challenges faced for the placement of students, how NITIE has come up with a new model named Industry Institution Research Collaboration and how NITIE can work more on smoothening the placement process with the help of AI and ML. mUni launched its mobile app called as mUniCampus available on google play to facilitate students of any member institutes on mUni to access their courses, study material, pdf documents, ppts, MCQ, assignments, video lectures live and recorded on mobile device anytime anywhere.